TV with Thinus: BREAKING. SABC admits scandalous Bathabile Dlamini pay-for-play interview on Real Talk on SABC3 contravened its editorial code, Anele Mdoda and Cheeky Media 'acted based on SABC's instructions'. BREAKING. 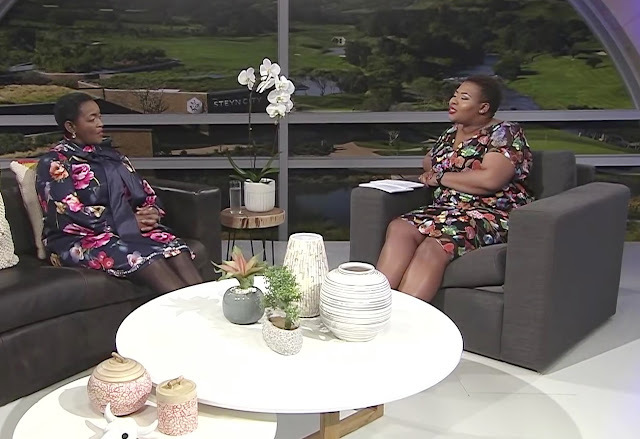 SABC admits scandalous Bathabile Dlamini pay-for-play interview on Real Talk on SABC3 contravened its editorial code, Anele Mdoda and Cheeky Media 'acted based on SABC's instructions'. The SABC on Friday admitted that the South African public broadcaster contravened its own editorial policy with a scandalous pay-for-play interview for a politician - the minister of social development Bathabile Dlamini - on Real Talk with Anele on SABC3 and said the lapses were due to its policy not being properly "integrated" at the broadcaster's entertainment division. The SABC said it would no longer be invoicing the social development department for R149 000. The SABC didn't specify who is being held accountable and who would be fired, suspended or receive disciplinary warnings. The SABC did say that talk show host Anele Mdoda and the production company of Real Talk with Anele, Cheeky Media and the executive producers of the show Yusuf Stevens and Janez Vermeiren, "acted based on SABC's instructions". The SABC in a statement confirmed that the SABC board had met over the growing scandal that has seriously damaged the SABC's credibility, and admitted that "the SABC did not comply with its own editorial policies on sponsorship of programmes, which requires that the sponsor's association with the programme has to be stated clearly, both before and after the programme". "In this case, this was not done," the SABC said. The SABC said that "the SABC does not charge for interviews, and this was a breach of organisational practice", and that "there has been a breakdown in internal controls and processes in this specific instance". In order to ensure that this does not happen again, the SABC says that "as part of the current SABC editorial policy review, we will ensure that any grey areas with respect to sponsorship of programming are clarified and strengthened". "Secondly the board news and editorial committee has instructed management to immediately look at strengthening upward referrals, and ensure that measures are taken that staff across different genres, including entertainment, are well-versed and compliant with editorial policies and Icasa regulations". "Thirdly, management will inform GCIS that the SABC will not be invoicing for the R149 000, which was to be paid for the interview". "The SABC takes full responsibility for these lapses and breaches in editorial control and wishes to communicate that the presenter and production company of Real Talk with Anele acted based on the SABC's instructions". "The SABC is conducting an ongoing review to ensure that our policies are complied with across the organisation. We are committed to cooperating with regulatory and other bodies to ensure that we remain complaint," says the SABC. "The SABC remains committed to restoring the integrity of the public broadcaster and all its services, and will continue to act where there are breaches". The SABC says the "lapses" were "as a result of our editorial policies not being sufficiently integrated in our entertainment division and that the breaches were not intentional. As stated, we will ensure that standards are lifted across divisions". "The SABC News and current affairs division was in no way involved in this matter. We assure the public that our news and current affairs division adheres to our policy of journalistic integrity and editorial independence". ALSO READ: After pay-for-play scandal, here what Anele Mdoda needs to do right now to save her show.